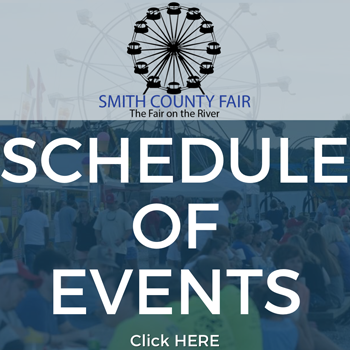 The Miss Petite Fairest of the Fair Pageant (ages 7-9) will be held under the Smith County Ag Pavilion at 6:00 p.m. on Tuesday, July 3, 2018. Dress must be formal and floor length. Judges will strongly consider contestant’s make-up and dress. Contestant needs to “look their age”. 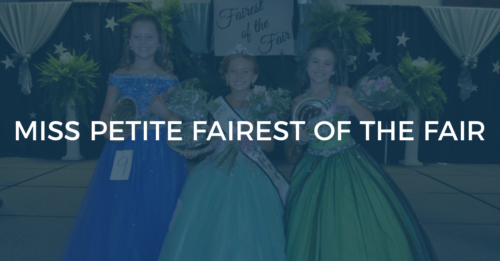 Entrant to the Miss Petite may have MINIMAL make-up. Flippers (fake teeth) and hair pieces/wigs will NOT be permitted.